I knew nothing about 'The Middler', nor Kirsty Applebaum, before I decided to read this book. Yet I was drawn to it. Perhaps it was the fact that I hadn't seen everyone raving about it before I read it - I'm not much of a fan of being part of the herd. But now I am. I am now just adding to the many voices who are singing the praise of Kirsty Applebaum's debut novel. It would seem that I was not the only one to be drawn by the magic of a book which gives very little away at first glance. It's funny that I should mention magic, actually. This isn't yet another MG book relying on magic to provide all the answers, but it is a magical book. Not only was I unable to resist this book when came the time to start something new, I was also in thrall to it throughout - I read it at an unnatural pace. Gently unsettling, at least to begin with, the reader is drawn into the mindset of a small town, a town which could be anywhere, who appear to venerate their eldest children above all others. Things begin to appear gradually more menacing as it is revealed that no one is allowed outside of the town, that any outsiders (or 'wanderers') are regarded with deep suspicion, worse even: hatred. And then there's the matter of all eldests being sent off to fight the silent war. The depiction of family life within a close-knit, closed-minded community is reminiscent of To Kill A Mockingbird; the air of mystery is akin to that in Holes. And when you find out where the eldests are supposedly going, one can't help but think of The Hunger Games. Now I don't usually make comparisons in reviews and honestly, I'm not making comparisons here, either. Truly, The Middler stands tall amongst the aforementioned tomes and in no way is a derivative of anything else. Despite my making links between this and other books, I would happily claim that this book is unique, something else - a new experience. When Maggie, a quiet middle child, meets Una - someone she's been indoctrinated to hate - she battles internally with her feelings about the developing friendship. Her heart tells her there is no reason for her to despise her - her head, fed with songs and lies about outsiders, tells her otherwise. If this story line isn't a lesson in empathy that most of us could learn from, then I don't know what is. Perhaps this is a deeply political novel with themes for children and adults to unpick together, and to relate to current affairs or historical events. Perhaps it's a perfect introduction to post-apocalyptic literature. Or maybe it's really a story about family, friendship, loyalty, curiosity, challenging the status quo and doing the right thing, even when everyone else seems to think it's wrong. 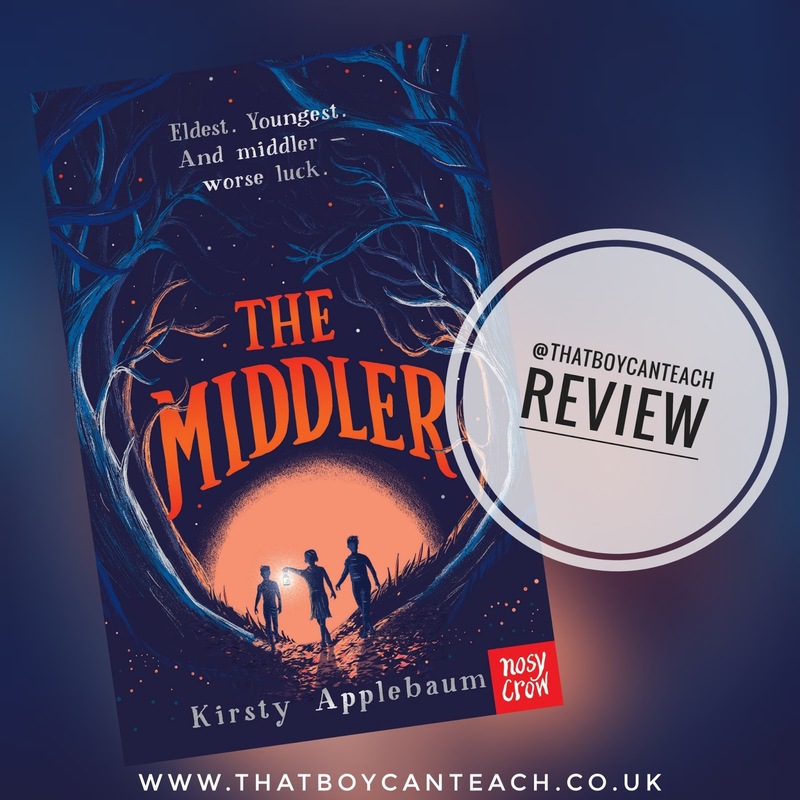 Whatever it is, however we might choose to define it (we, because you will read it - you must), its absolutely certain that 'The Middler' deserves all the praise it gets. Kirsty Applebaum is certainly a name to watch out for in the world of children's books - I'm already looking forward to the next one. Perhaps I'll just read this one again. 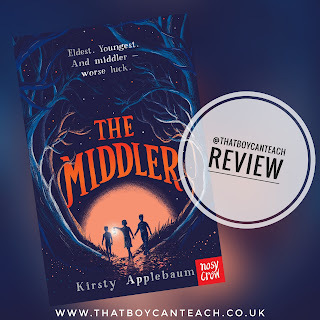 Kirsty Applebaum has written a blog post for me entitled Showing Instead of Telling in The Middler which gives advice to budding writers about how to make sure the reader know what characters are like without telling them. What Does 'Greater Depth' Look Like In Primary Maths? Reading Strategies vs. Reading Skills - What's The Difference?